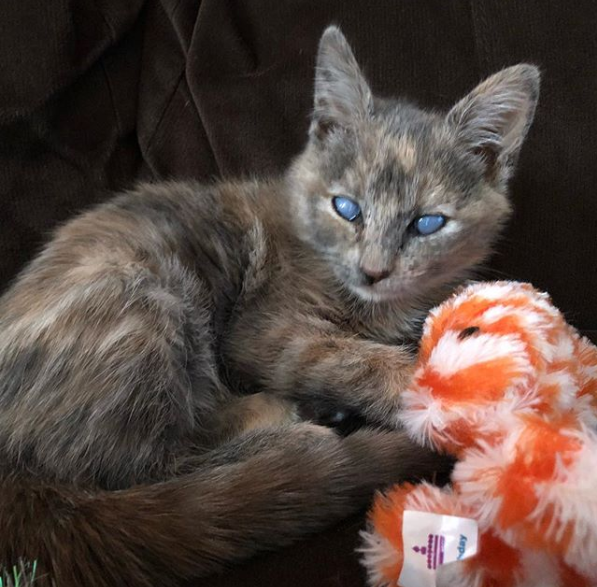 Today we have a heartwarming story to share with you about an abandoned kitty that found love when she needed it the most. Make sure to grab some tissue papers because the pictures that you are about to see will move you to tears! 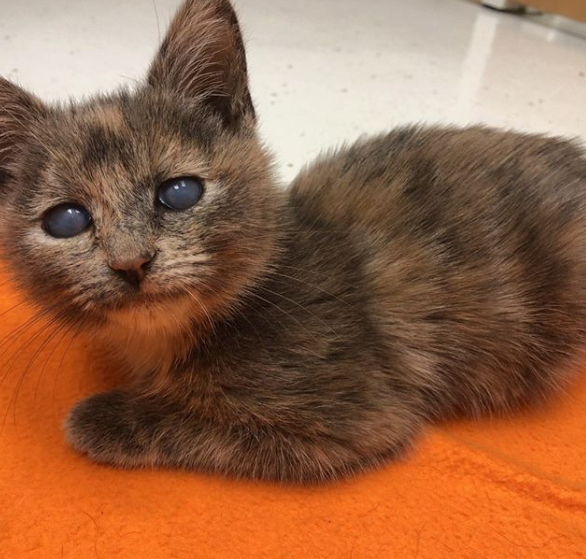 With that said, get ready to see the story of a blind tortie cat who was abandoned at birth only to be adopted by a happy couple. Our story starts on a sad note. 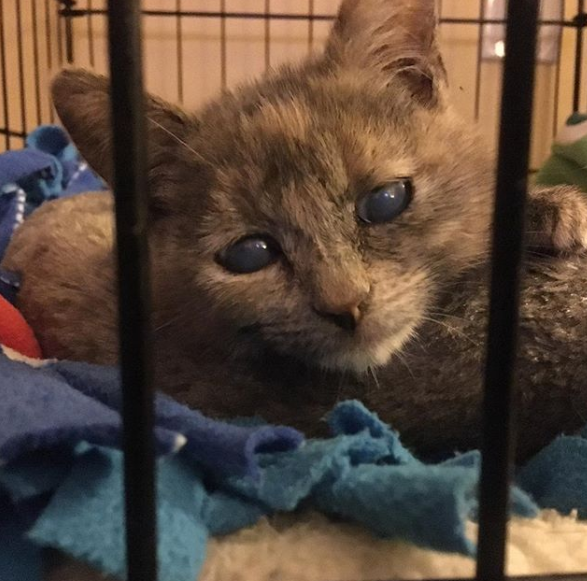 This little kitty was abandoned and no one wanted to adopt her. We think if you take a good look at this picture you will see why it was so hard to find a forever home for her.